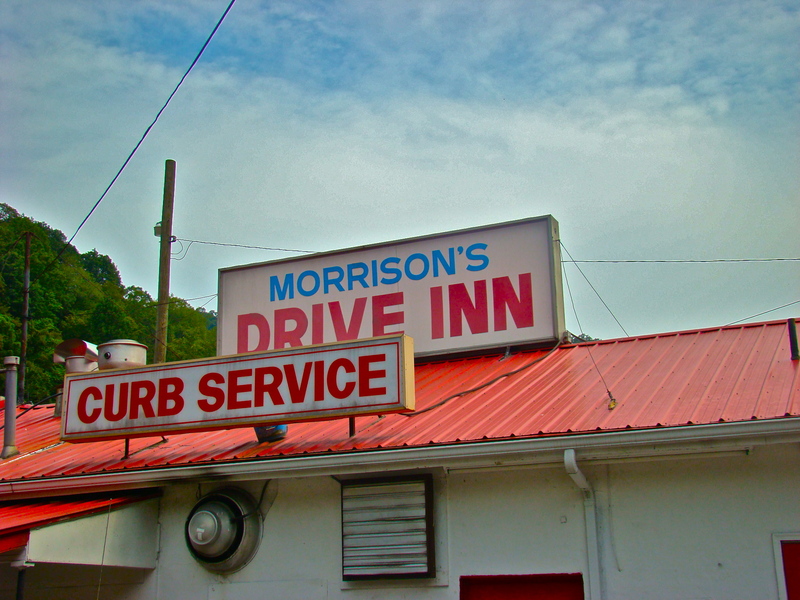 When Lauren and I visited my parents over Labor Day weekend, we made it a point to go to Morrison's Drive-Inn. I grew up going to Morrison's and I remember the slight sense of embarrassment when my dad would honk the horn to let the waitresses know we were there. The building looks the same as it did when I was growing up, which is to say it looks the same as it did when my mom and dad were growing up. The river is still on one side, Route 10 and the rail road tracks on the other. 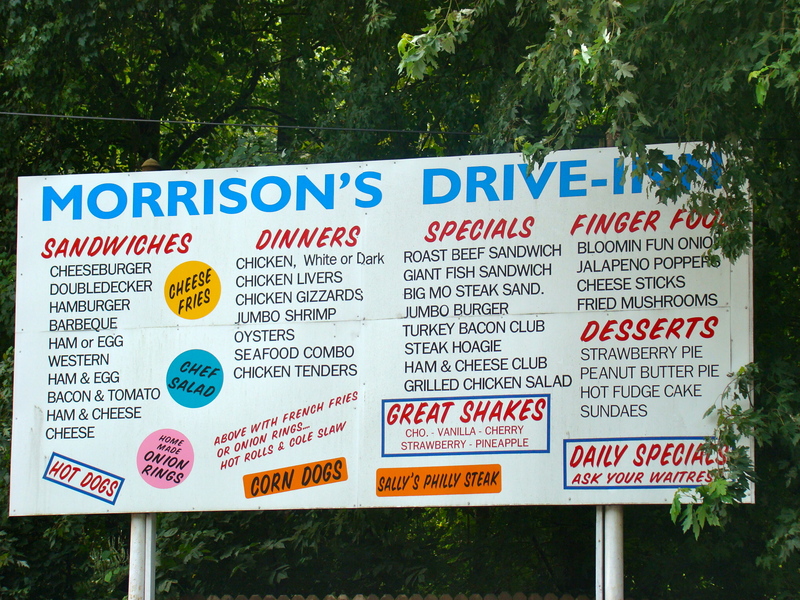 The menu is still a hand-painted billboard. They still serve chicken livers and gizzards. 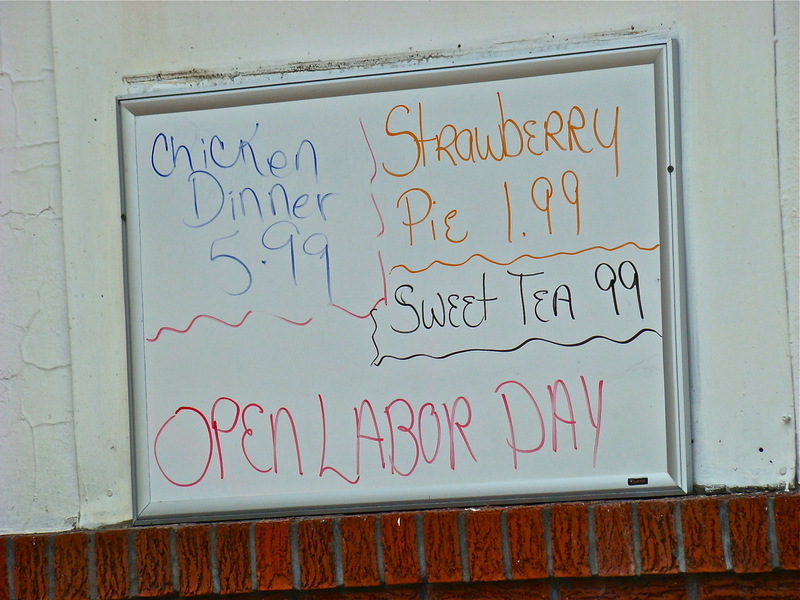 A whiteboard has replaced a chalkboard for the daily specials. Their cheeseburger is the best I've ever had. Here are some pictures from our late summer visit. Maybe when we're visiting after Christmas we'll go again. 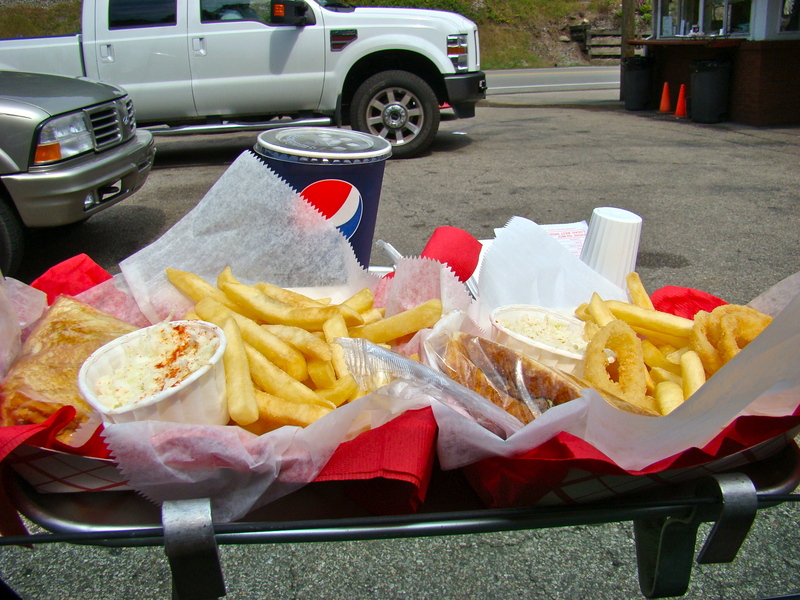 Awesome post Jason- reminds me of our hometown local joint called Schaeller's- best burgers I've ever had. It's right on Lake Ontario and I make it a point to go with my mom every time I visit Rochester- as long as it's in temperate weather! Thanks for the bit of nostalgia- we've gone there our whole lives as well, and my mom used to go when she was in HS... Hope your holidays are happy, & be sure to visit something Christmas-y this visit & post about it!